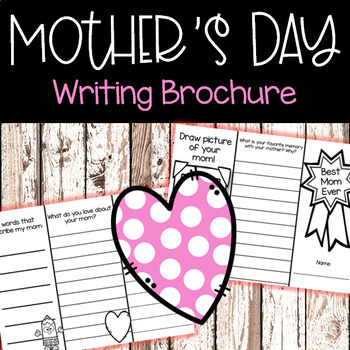 Mother's Day Writing: Grab this NO-PREP Mother's Day activity! 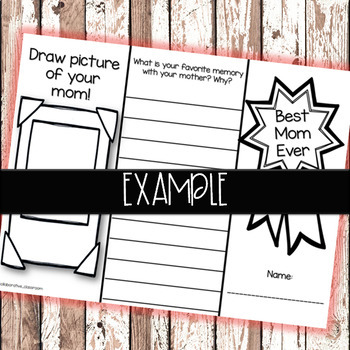 With these 2 worksheets printed front and back students create a sweet literacy craft for their mom. •What is your favorite memory with your mother? 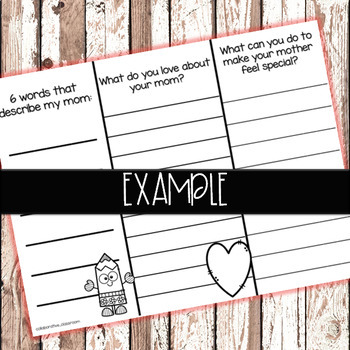 •What can you do to make your mom feel special? •What do you love about your mom? •Write words that describe your mom. 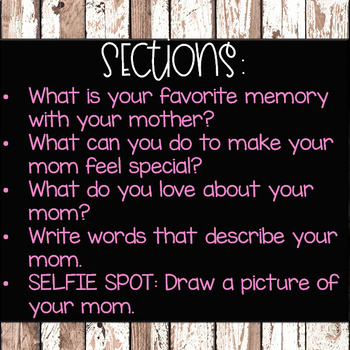 •SELFIE SPOT: Draw a picture of your mom. For a closer look, see the thumbnails above!